The slithery one who tempted Eve in the Garden of Eden is served in a course of sorts in China. 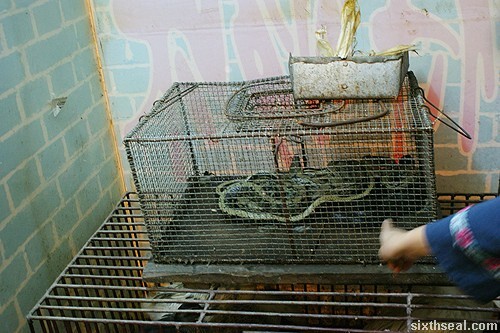 It’s like Peking duck, the entire snake is prepared and consumed. Your epicurean journey starts with picking the snake you want (snakes are generally quite expensive even by Malaysian standards). 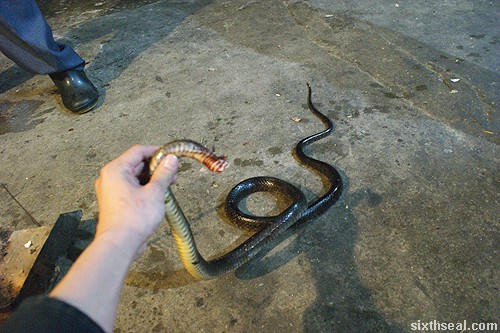 The live snake is killed before your eyes (making it dead – call me King of Stating the Obvious) and the expert chef stems the flow of blood from the decapitation of the reptilian by some kung fu application to certain veins and arteries. The snake blood is the first course of the meal. Next comes the snake gall served in a glass of high proof alcohol. 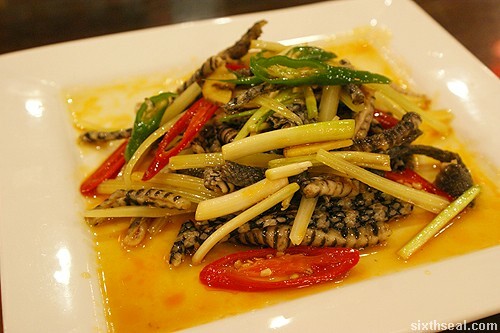 The snake is de-scaled and the snake skin is served as a tasty appetizer. 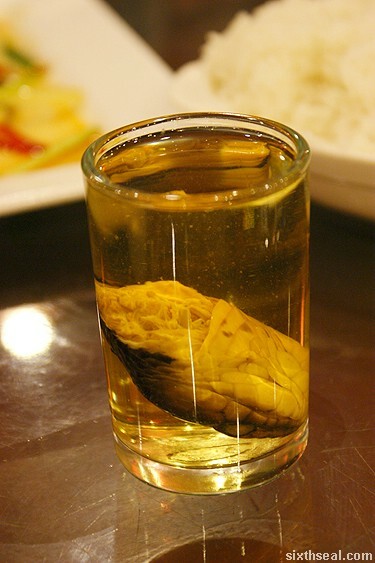 You can also opt to have a snake head wine at this point. 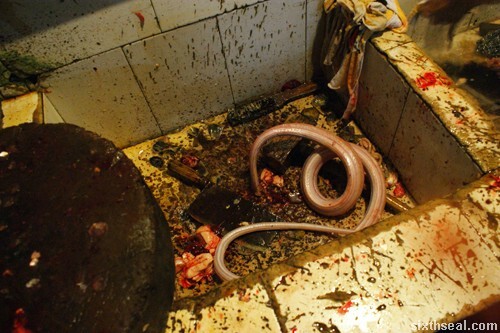 However, I’m going to get into the meat of the post (pun intended) by describing the main course – snake meat. 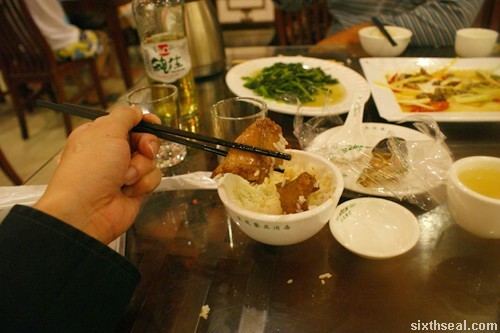 It’s cooked to perfection, Guilin style. 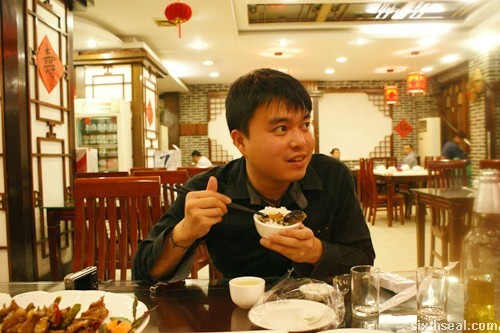 I chose the cooking method that is recommended by the chef, a Guilin resident. 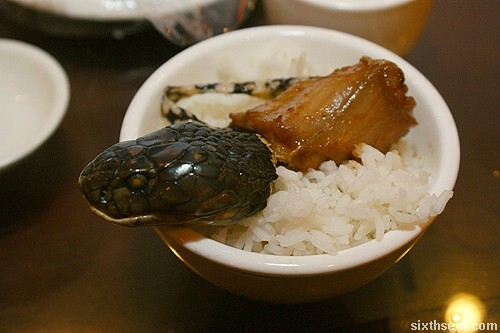 How does snake meat taste like? Well, I’ve had python before – that was tough and rather dry. However, this tiny little snake makes for a delicious main meal. There are bones but a surprising amount of meat attached to it as well. 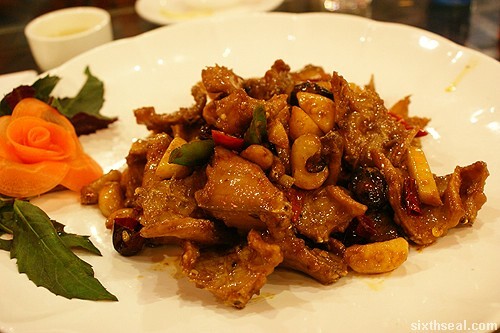 I found snake meat to be juicy and while I’ll like to say that it tastes like chicken, it does not. 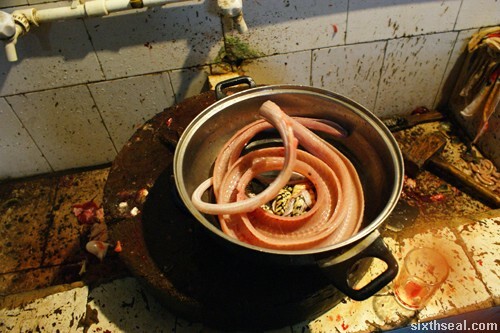 Snake meat has a very distinctive taste. Words will not do justice to it (you have to try it for yourself, just like the Matrix). It’s tender and juicy, adjectives I would never expect to describe snake meat with, based on past experience. It’s a little bit on the sweet side too. If I was forced at gunpoint to describe how it tastes like, I’ll say it tastes like the breast meat of chicken crossed with veal. The texture is a little like eel (but not really) – it’s hard to describe, it’s kinda like that but has more of a meat mouthfeel. I thoroughly enjoyed the meal and finished the entire Snake Experience (TM). It is really good stuff. Do not miss the chance to taste snake meat if you come across a live one. It’s just that good!